It’s funny, but ever since battling the cover of The Sword’s “Freya” in video game Guitar Hero 2, I found myself hooked by the Austin, TX based-band. Picking up both 2006’s Age of Winters and 2008’s Gods of the Earth helped shaped my tastes and the way that I listen to modern metal — included in that too are Mastodon, Baroness, High on Fire, among others. With the release of 2010’s conceptual Warp Riders, my interests cooled a bit only because I wasn’t as taken by the hooks. 2012 brought the release of Apocryphon, meaning “secret writing.” Apocryphon brought more hooks, but also more of the same. 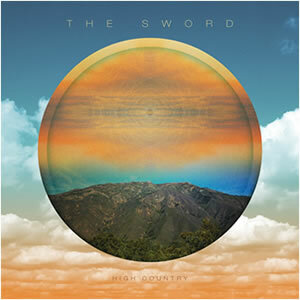 The Sword’s fifth studio album, High Country aims to add an interesting variety to The Sword’s metal formula. Three years in the making, The Sword’s High Country could almost be classified as a southern rock/metal album. That’s no slight towards The Sword because there are still some slight nods to Queens of the Stone Age and Corrosion of Conformity. Also, some classic rock influences from Thin Lizzy, Black Sabbath, ZZ Top. 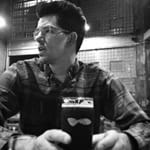 To quote guitarist Kyle Shutt, “We’ve shed our old trappings and embraced a livelier, more upbeat approach to songwriting while still maintaining the vision we shared when we started this band over a decade ago. High Country has more flavors than any of our previous records, everything from folk to pop to boogie to straight-up rock.” With that in mind, when it works, it works. Songs such as “Empty Temples,” “Tears Like Diamonds,” “Mist and Shadow,” “The Dreamthieves,” and “Ghost Eye” all present a slightly enjoyable fair. But, when High Country goes wrong, it’s easy to tell. The song that opens the album, “Unicorn Farm” — questionable title much — is a weird mix of synths and beats. The instrumentals “Agartha,” “Suffer No Fools,” and “Sliver Petals” feel slightly half-baked and un-cohesive to the album structure. I could nit-pick a little more but, The Sword’s High Country is going to be a true fan divider. I can appreciate a band for looking to new ways to spice up a typical formula. However, The Sword was starting to lose me with Apocryphon — I gave it a 3 out of 5 — and a lot of High Country feels like a loose, simplified, cutting room floor experiment. I’m only harsh because the way Baroness, High On Fire, Electric Wizard, Mastodon, and Slomatics — seriously, check them out — have advanced the genre. These bands have all stayed consistant and important with each release. I’m really hoping The Sword doesn’t continue to get dull — only time will tell. This review will also appear with many others like it at thefirenote.com.